On Aug. 1, just before starting its five-week summer recess, the U.S. Senate confirmed the appointment of John Tefft as the next U.S. ambassador to Russia. Tefft was officially nominated by U.S. President Barack Obama on July 11. Russia gave its consent to the appointment in mid-July, according to Russian Presidential Aide Yury Ushakov. The U.S. has not had an ambassador in Moscow since late February, when the previous ambassador, Michael McFaul, resigned. 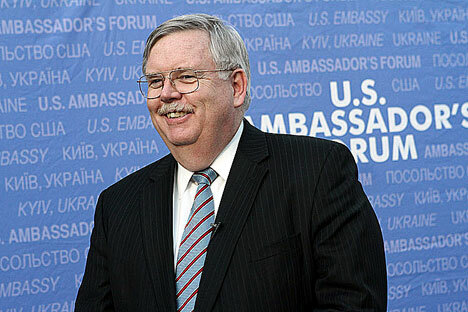 Tefft previous served as U.S. ambassador to Ukraine, Lithuania and Georgia. He also served in the U.S. Embassy in Moscow in the 1990s.